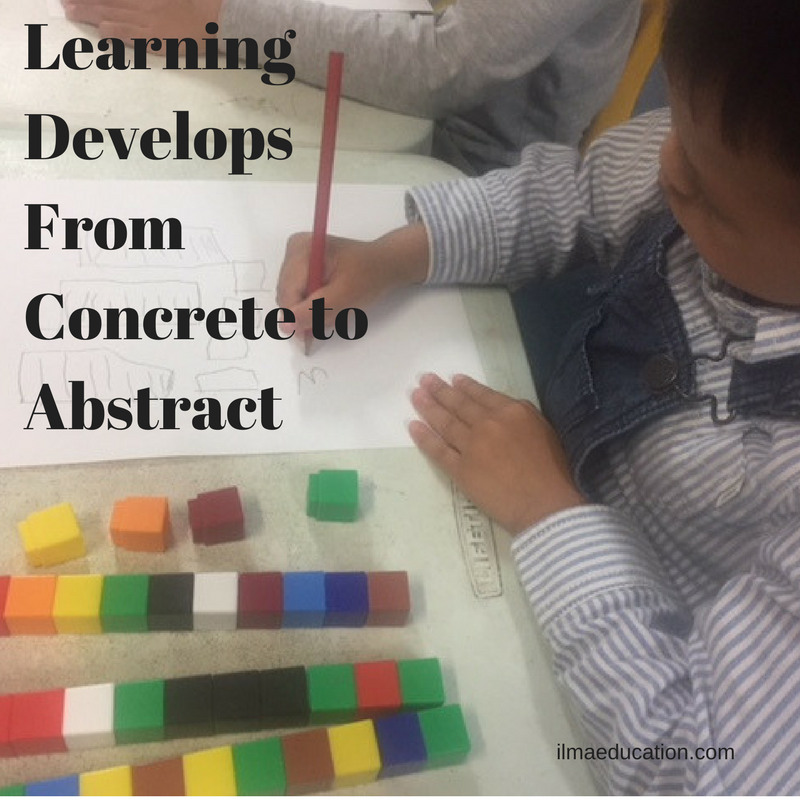 Learning starts with the concrete and gradually moves into the abstract. When children learn, they need to have many hands-on experiences. This means they need to be able to see, smell, touch, hear and possibly taste what they are learning. Give them lots of experiences in this before you move them into the abstract. Concrete experiences provide the background knowledge to help your child make connections to build new knowledge. If I say cow, your child would probably think of mooing, milk, brown cow or black and white ones, four legs, beef, burgers and maybe even that it’s a farm animal. This is his background knowledge that he probably got from watching television or reading books. The more experiences your child has with the subject then the more background he can bring to it. Sometimes, passively reading or watching television is not enough. If your child has ever been to a cattle farm, he’d probably remember the smell of manure or the action of milking a cow. He could also tell how big they are and remember the feel of their skin. These are the concrete experiences that he can bring to learn more about the subject. Without any background knowledge the word cow will have no meaning. If you find that your child is having problems with understanding a concept then he probably hasn't had enough concrete experiences yet. This makes it hard for him to grasp the abstract. Take for example, the problem of solving 6+8=. Your child needs to first understand what each of these symbols represents. He needs to have many experiences with manipulating six objects and eight objects. Then he would need to group six and eight objects together to form one group. Once he understands this manipulation of concrete objects then he would be more able to translate that into abstract thinking. Notice how you cannot go straight into 6+8= without knowing what the 6 and the 8 means and what the symbol + means. Don’t limit your child’s reading to only fiction books. Although reading is passive it will still provide him with background knowledge. Children have a fascination with the world around them from how things work to why things are the way they are. Nurture this fascination to ask questions and seek more knowledge and experiences. Non-fiction books are not limited to older children. Young children’s non-fiction books usually come with big, bright close up pictures. Whenever I read to my prekinders these books, they are amazed at the close up pictures of insects, plants, animals or whatever subject we happen to be learning about. 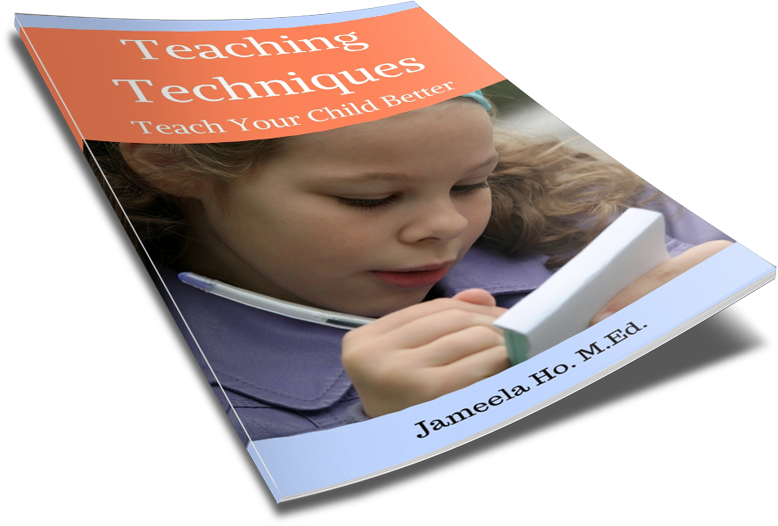 Here are some things that you can do to help your child move easily from the concrete to the abstract. 1. Use the five senses to teach. 2. Go on field trips. Give your child lots of diverse experiences. 3. Make good use of manipulatives and objects that can be handled. 4. Read non-fiction as well as fiction books. What are some ways that you provide hands on experiences for your child? Let me know in the comments.